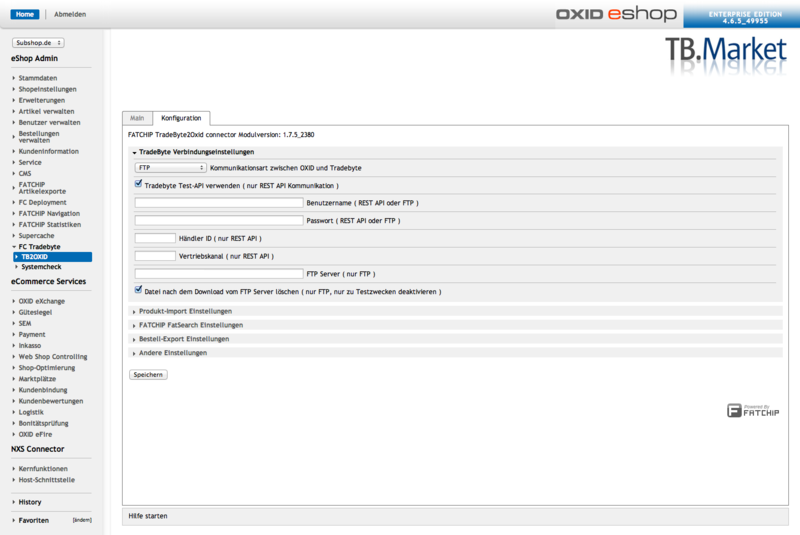 OXID eXchange | FATCHIP Tradebyte 2 OXID Connector 1.9.12 Sourcecode | Stable | EE, PE | 4.4.x - 6.1.x | Module, Themes, Language Packs direkt herunterladen! 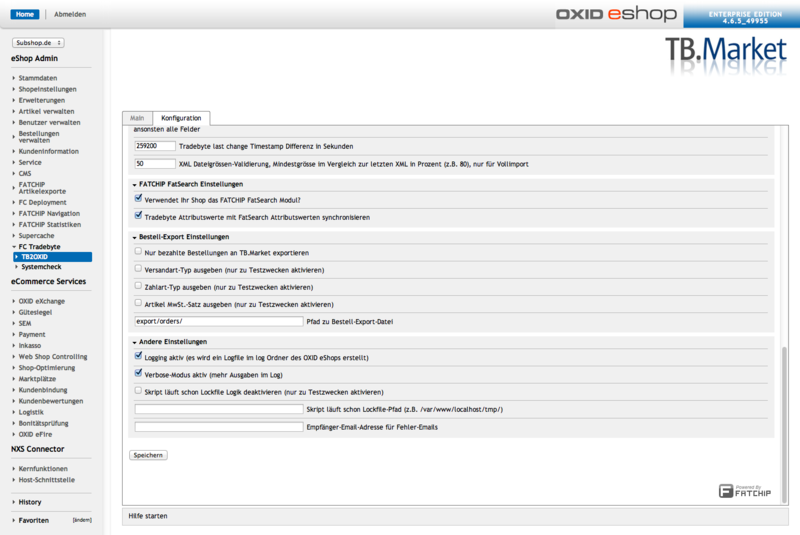 The FATCHIP Tradebyte 2 OXID Connector links Tradebyte with your OXID eShop. Tradebyte REST API is used; with that, the fetch times can be defined shop-sidedly. There are products in Tradebyte and it is used as primary system. There is an OXID channel as well. 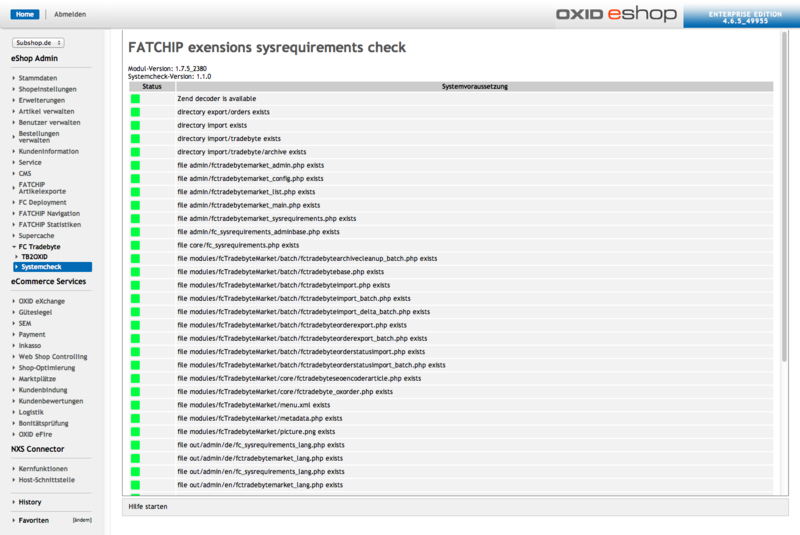 The FATCHIP connector makes sure that OXID eShop is filled with the data from Tradebyte. 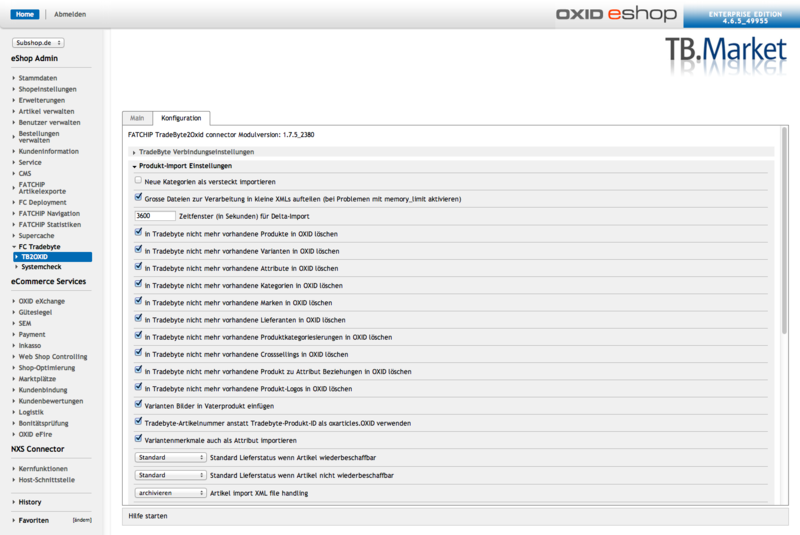 It is possible to carry out the whole product data maintenance in Tradebyte without having to rework them in OXID eShop. Products from TB.Market and TB.One can be loaded into OXID eShop. 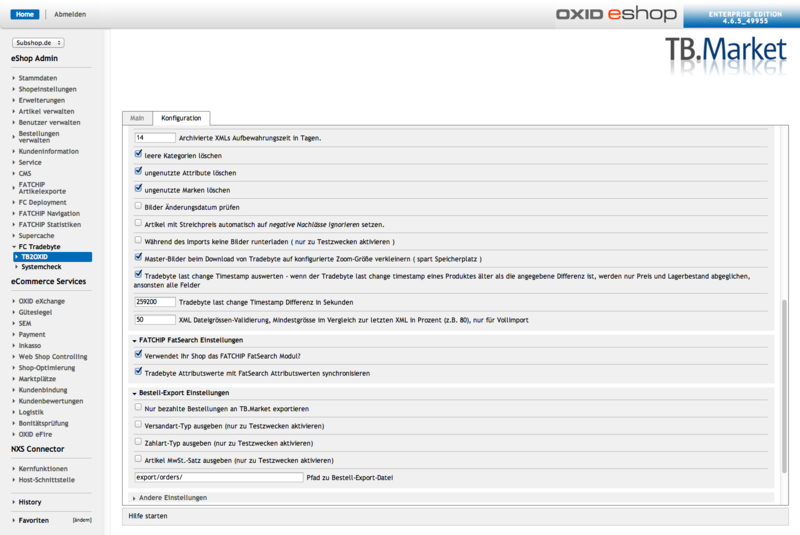 Orders from OXID eShop can be transferred to Tradebyte with the Tradebyte 2 OXID Connector. 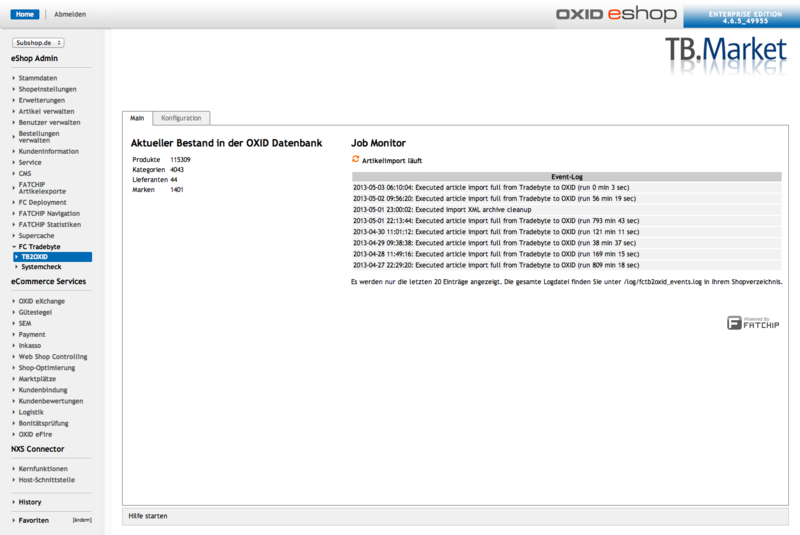 As soon as the status of the order is changed in Tradebyte (delivered, cancelled...), the information can be transferred to OXID eShop with the Tradebyte 2 OXID Connector in order for the customer to be able to see the status of their order within their personal area.